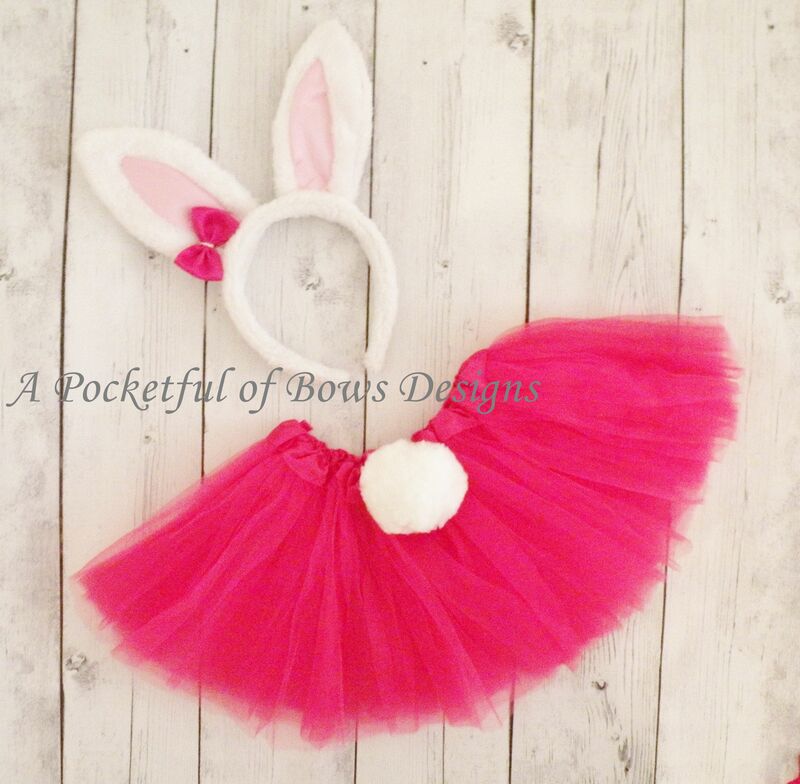 Some Bunny love you tutu outfit with bunny ears headband. 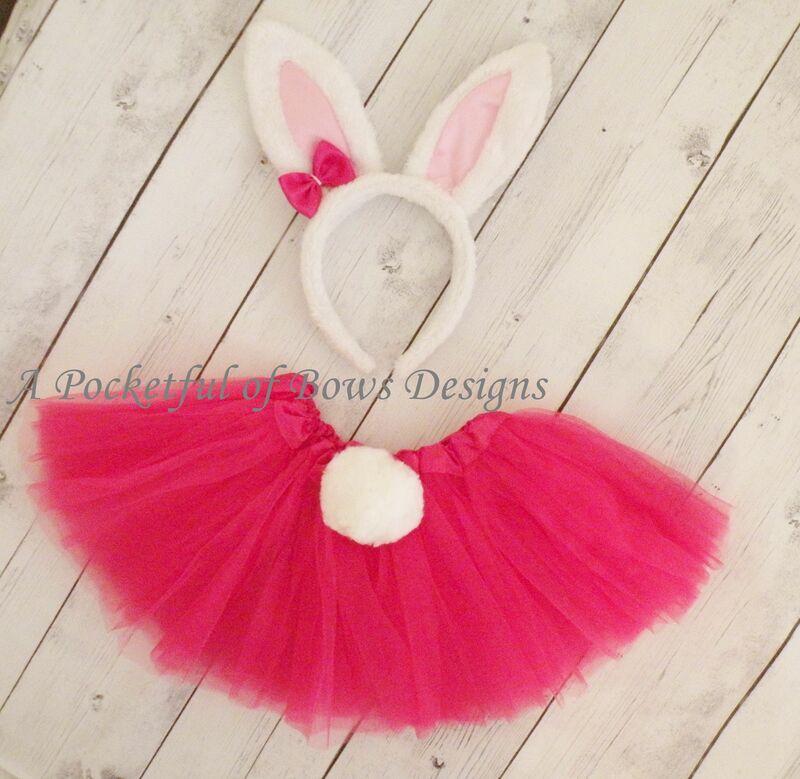 The tutu outfit is available in light pink or hot pink. 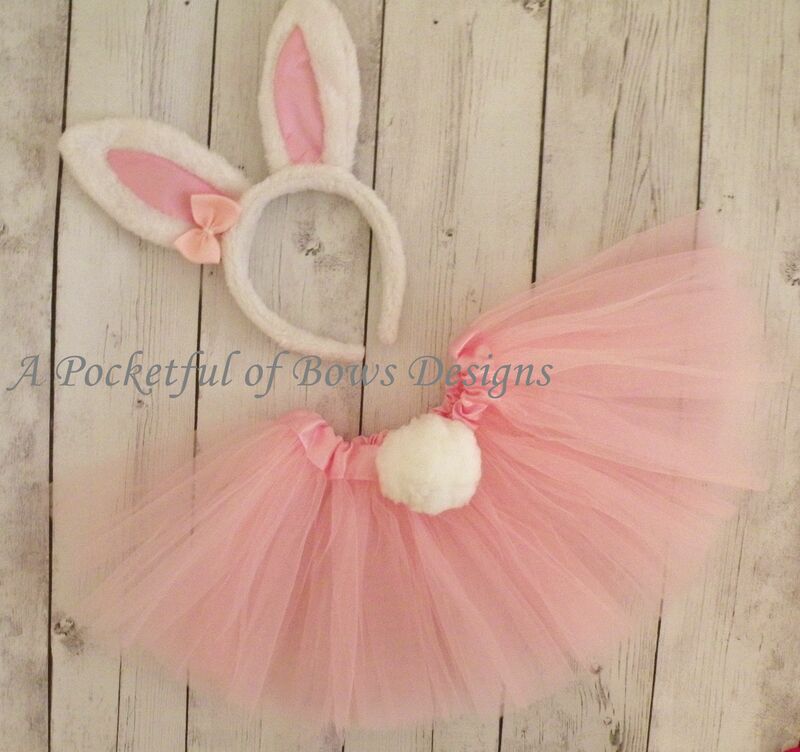 The cute bunny ears headband has a bow attached. 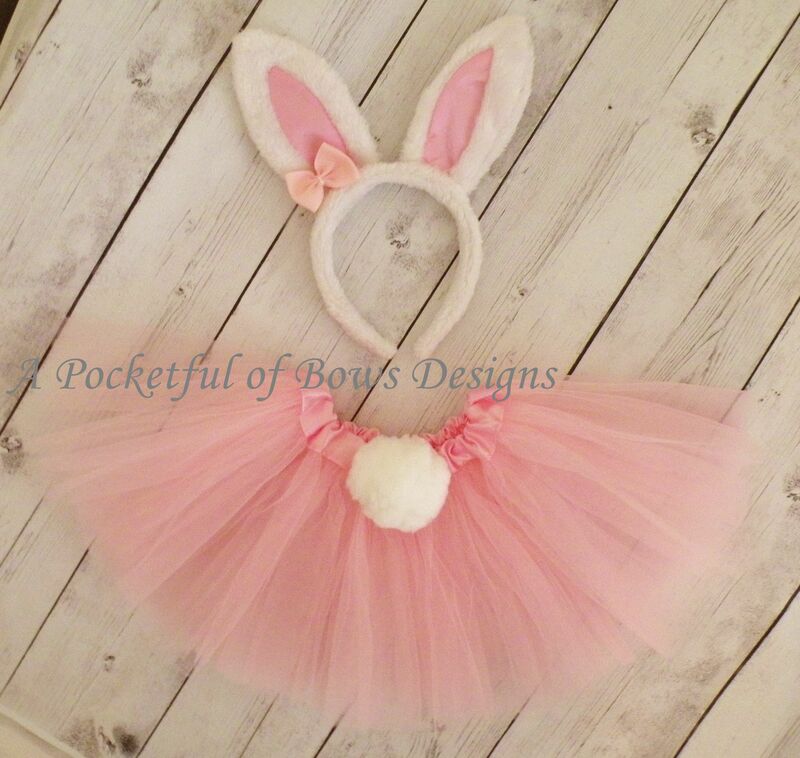 The tutu skirt has an attached white bunny tail.